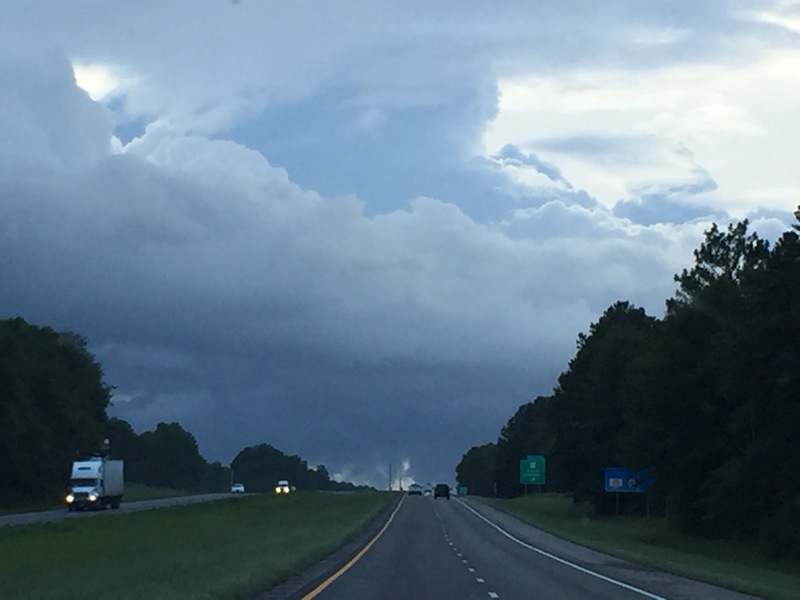 On the road from Pensacola to Mobile we were treated to a sky full of billowy and ominous looking clouds. Just a few drops fell on us as we pressed on to another day of interviews. 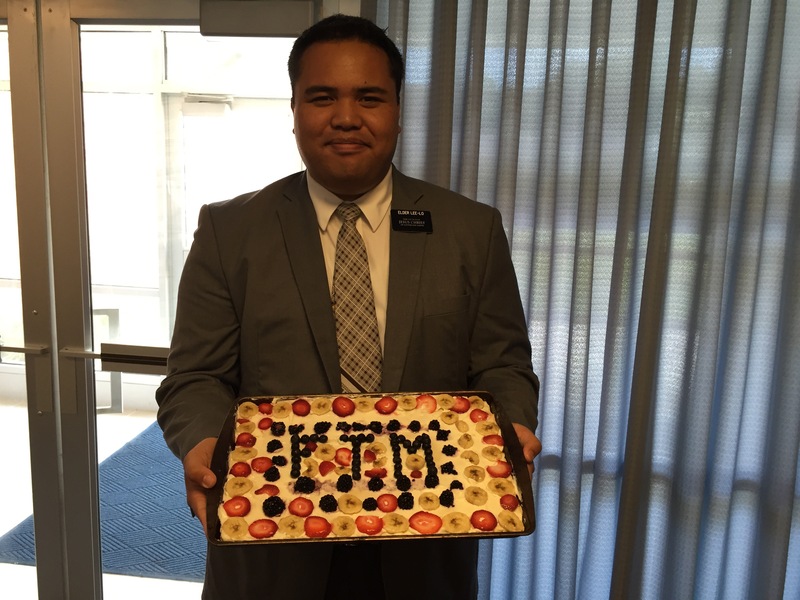 Today we were treated to a delicious fruit pizza brought in by this thoughtful Elder. He made it himself! Luckily he was willing to share and we all got to have a taste. We used to live next door to center Elder’s family. Fun to get to know him and comp. 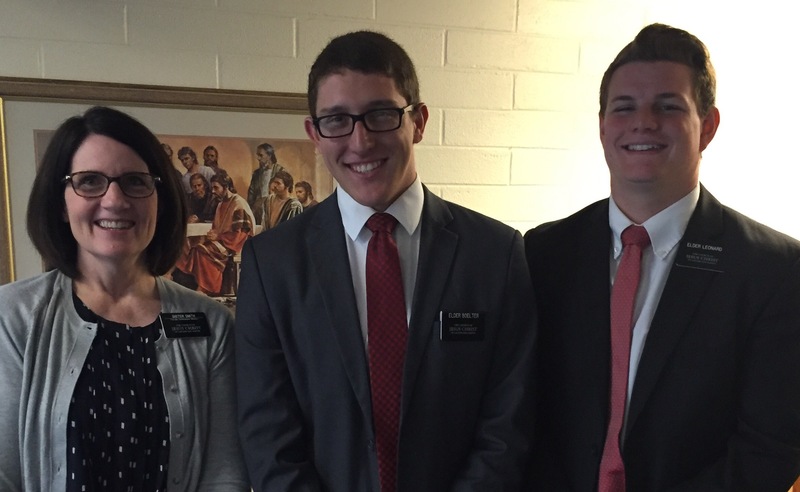 Our hearts are tender towards all the missionaries we are so blessed to be associated with. They come to greet us with smiles, hugs and handshakes–none of those wimpy, limp handshakes–but great heartfelt “so glad to see you” greetings. We feel so loved in the Florida Tallahassee Mission! We love getting to know everyone better at Interviews. 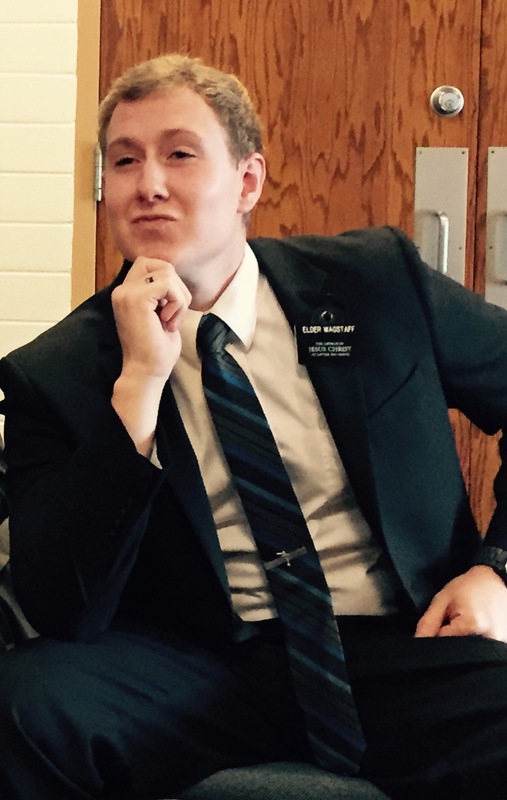 Sister Smith, THANK YOU for your blog posts! Truly appreciated!